Construction has begun on regional Australia’s first tier III data centre. 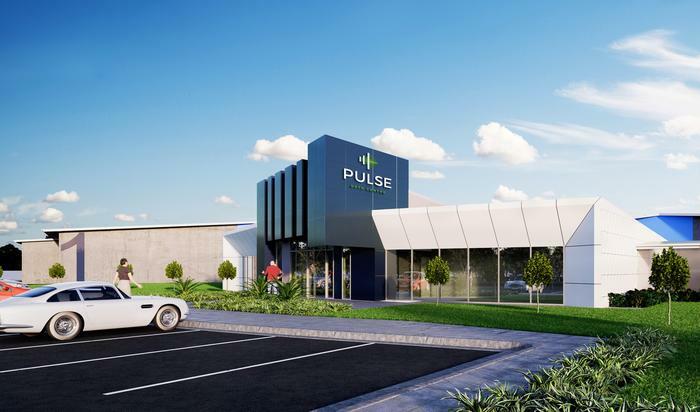 Pulse Data Centre is being built on the outskirts of Toowoomba at a cost of $40m by family run construction and engineering firm FKG Group, in partnership with Telstra and Schneider Electric. FKG issued a statement this morning announcing that construction is now "officially underway". “We are seeing major international companies making significant commitments to co-location and hyperscale data centre capacity in Australia right now, which is why we are excited to be developing a data centre that meets that brief,” said FKG’s executive chairman Gary Gardner. The site’s location on the Darling Downs, 500m above sea level, significantly reduces the facility’s energy consumption and costs, FKG said. The centre also benefits from access to multiple power sources in the region and options for alternative power supplies: within 100km of the site there are 46 power stations. The total area of FKG’s plot is 200 acres, leaving plenty of room for expansion the company said. Pulse DC will target the wholesale market, the centre’s general manager Peter Blunt said last month. “We started to see the large hyperscale providers and the large wholesale clients coming into Australia. It’s the wholesale side of the market which is by far the largest part of the Australian market and it’s going to continue to grow in that way,” he explained. Telstra is IT partner of FKG, and has been closely involved in the project and improving surrounding regional networks. “We want to support Australian businesses to operate in a whole new way and be ready for a world with billions of connected devices,” said Telstra’s executive director premier business, Andrew Wildblood. “Technology is at the heart of business transformation and developments such as the Internet of Things, where more and more smart, connected devices are running on data networks, and able to talk to each other, are providing incredible opportunities. There are implications for every business because of the opportunities that stem from being able to do things differently,” Wildblood added. A technology park is being built alongside the data centre and is expected to generate 5000 new jobs in information, media, telecommunications and agricultural technology, FKG said. The arrival of the data centre and business hub, has been a boon for Australia’s sixteenth largest town. Lord Mayor of Toowoomba, Paul Antonio said the data centre would “strengthen our region’s contribution to the wider Queensland and Australian economies”. CEO of Toowoomba Chamber of Commerce, Jo Sheppard said Pulse DC would “be a key driver of innovation” and act “as a catalyst for growth in IT-related industries”. Gardner added that the project would eventually “attract national and global tech giants” to the town, while the town's local paper, The Chronicle, has already dubbed it Toowoomba's Silicon Valley. An artists' impression of the completed Pulse Data Centre in Toowoomba.